Cavities are often considered a problem faced by teenagers and adults who consume too many sweets and have bad brushing habits. However, tooth decay can begin as soon as a child’s first teeth start to come in. To help prevent cavities in young children, refer to the following tips. Allowing your child to sip milk or juice from a baby bottle or sippy cup throughout the night is not a good idea. This enables sugars and bacteria to sit in their mouth all night, an ideal environment for tooth decay to develop. Instead, have a last drink of milk or juice before teeth brushing time and keep water on the nightstand for them. The bacteria that causes cavities need sugar to thrive, and constantly snacking on sweets increases the chance that cavities will develop. That’s because saliva can’t cleanse the mouth as effectively. If you give your child sweets, plan a snack time once or twice a day as a reward instead of nibbling away every hour. Perhaps nothing makes a bigger difference than practicing good oral hygiene. Teach your kids to brush after meals and sweets and before bedtime. Each brushing should last 45 seconds to two minutes. The toothbrush should be held at a 45-degree angle and reach the entire surface of each tooth, as well as the gums. Help your children to floss once per day to push bacteria and plaque away from their teeth. Once your child is old enough to spit out toothpaste after brushing, have them use fluoride toothpaste to strengthen tooth enamel and remove acid. 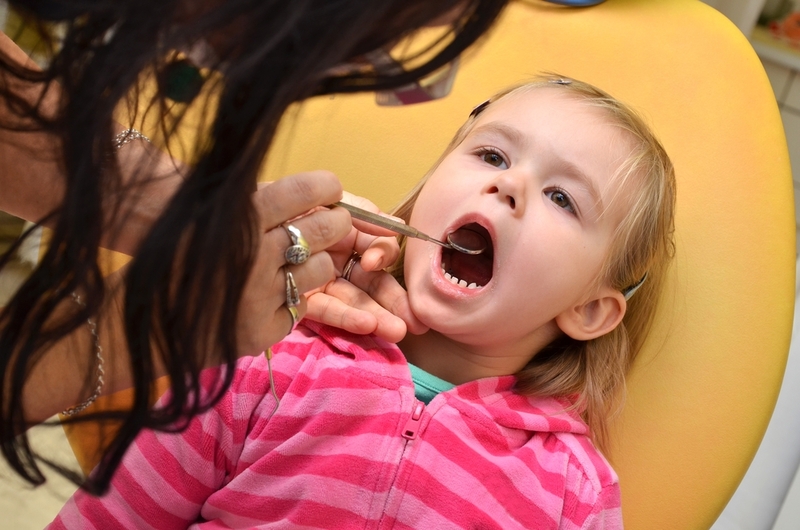 Lastly, take your child to the dentist annually or biannually to ward off cavities. If they are ready for their first teeth cleaning, there is no better option than High Point Smile Dentistry in North Carolina. The professionals at this family dentistry know how to use a gentle, caring touch with infants and toddlers to protect their smile for years to come. Visit their website to learn more about their dentistry services or give them a call today at (336) 884-4000 to set up an appointment.